We both love to bike. I (Lindsey) grew up biking with my brothers. I also remember taking family bike rides from our house in Forest Park to Johnny Rockets in 5 Points. Being a biking family, the boys (ahem. men.) 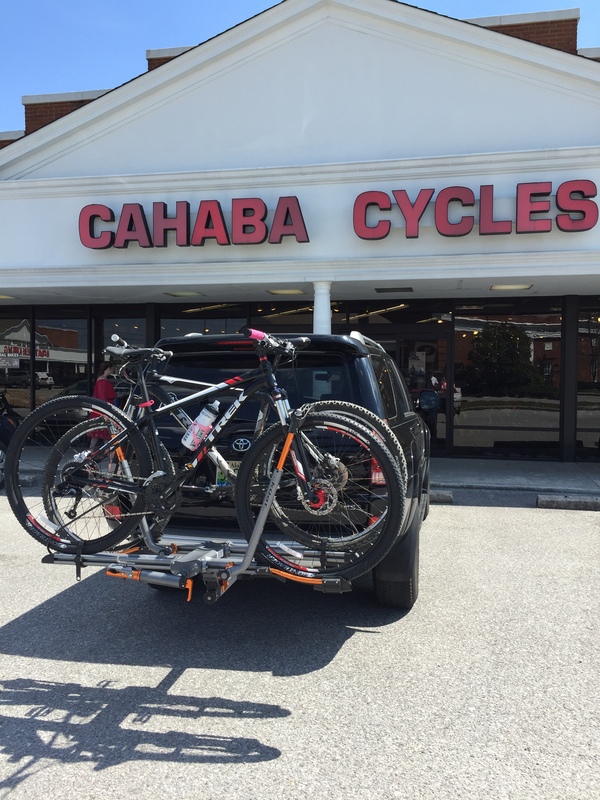 have taken a yearly bike trip to Tsali, NC since about 2004. When Darren and I started dating he was invited on the trip and after a couple of years he invested in a new bike. We were talking recently about how convenient Oak Mountain State Park is to our home and how it would be fun to bike together but it was an ordeal to borrow a bike for me and then trek all the way back to the park. So…. we bought a bike for me! We have been biking Oak Mountain and it’s so fun! The weekends that we have biked together were amazing weekends. It’s so much fun to do something where we can be active and laugh and give each other praise and support. We also have rented paddle boards on the lake at Oak Mountain and it’s really fun! I would love to eventually purchase our own paddle boards too! We are currently training for the Coosa River Challenge where we will mountain bike, trail run, and river paddle as a team in a 6 hour race! Just purchased Lindsey’s new bike and ready to ride!